Good news! 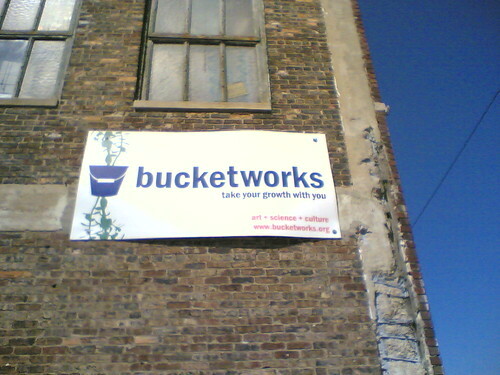 Bucketworks is moving… It’s good news because Bucketworks won’t just disappear, but it’s “challenging” news because a lot of work will be involved. But you can help! As you may know, Bucketworks was a big part of making BarCampMilwaukee happen, and making sure everyone involved had a great time. Read about the move, and if you can help, please get involved. The folks at Bucketworks (typically) aren’t a bunch of tech geeks, so if you can do networking or help with computer-related things (or anything else really!) step up and do it. Posted on Tuesday, April 24th, 2007 at 1:00 pm. Subscribe to the comments feed. Both comments and pings are currently closed. Post on your own blog. Yeah … what Pete said, folks: Any help you can give will be so gratefully received. Get involved at any level you’re comfortable with, from becoming a board member or chairing a committee, to attending a single brainstorming session, to emptying a few trashcans, to helping haul stuff during the move! Attend the Value Gathering on Saturday, May 12 to get your feet wet, if you haven’t been a Bucketworks regular. oh man, lolrus is gonna be pissd!